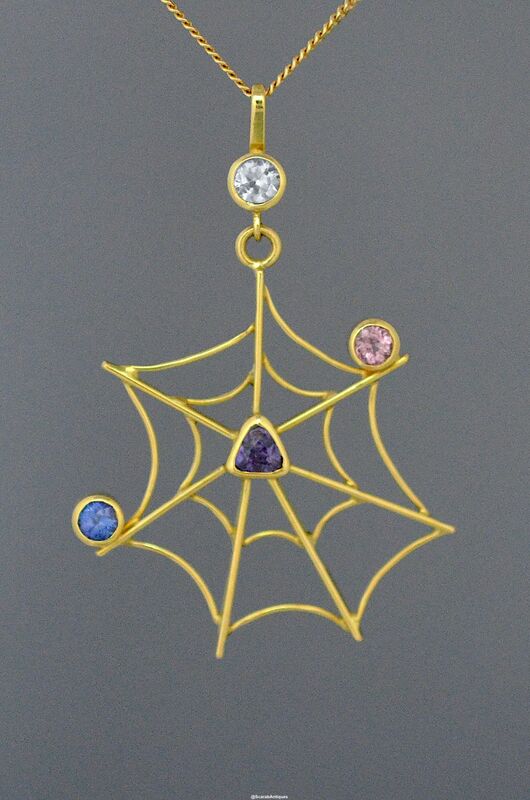 Jean Wilkinson has designed and handmade this lovely Web pendant in 18ct yellow gold. The top of the pendant has a rubover set white sapphire from which the 18ct yellow gold web hangs. 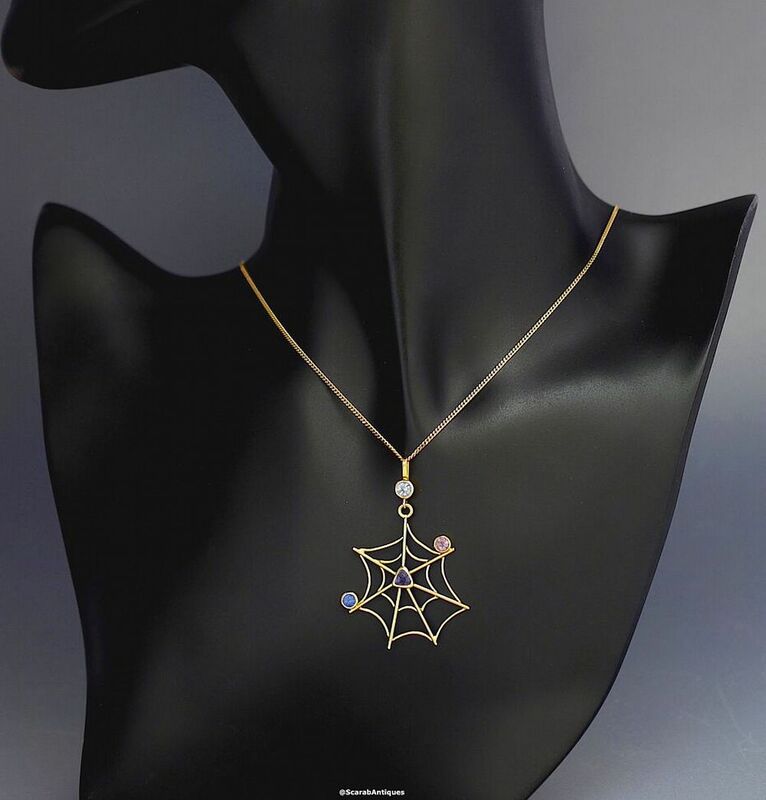 The web is rubover set with three sapphires, a round pink, a trilliant cut purple & a round blue.The pendant hangs from a fine 18ct yellow gold chain.